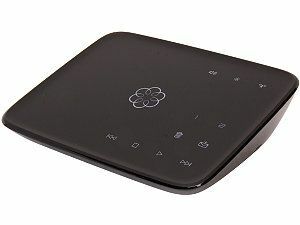 In December 2013, I bought an Ooma Telo at Costco for $100 and paid $40 to port my home phone number; the monthly service is under $5 (you just pay the government taxes/fees) instead of $30/mo for Comcast phone service so it pays for itself in less than 6 months. I have been using it for a few months now and unlike previous VOIP services I’d tried, the sound quality is excellent and the service has been very reliable. The device itself looks sharp and works well, you connect the Telo to your Ethernet (broadband internet) and plug your old phone system into the Telo. They have a wireless (wi-fi) version too, but I prefer wired. Update: After 6 months, I continue to like the Ooma box; it just works. I bought another for Deana’s home office use and it has provided a good experience too. The Rigol DS1052E is a fantastic oscilloscope and an amazing value at $329. 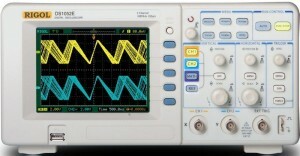 It is every bit as good as my favorite Tek scopes (maybe even better) at a fraction of the price. I have previously owned/used budget scopes (Owon, Wittig, etc.) as well as Tek and HP scopes and this is hands-down my favorite. There is a software-only hack to convert it from 50MHz to 100MHz bandwidth…I’ve done the hack and can confirm it works. The only problem with the scope is that the fan is 36.5 dBA (very) loud. I finally got around to replacing it with a 22dBA Xilence 60mm case fan (less than $10 shipped on eBay) and it is now delightfully quiet. The Xilence fan spec says it moves 30CFM (more than the 21CFM of the original); it is audible, but inoffensively so: mostly noise from the air moving through the plastic case, not from the fan; it is dramatically better than the original fan. Note: opening the scope case voids the warranty; the process is well documented and requires a T-10 Torx screwdriver (Craftsman 41473) which is also useful for opening Tivos. I cut the connectors off both fans and used the connector from the old fan with the new fan. Warning: if you open your scope, please make sure it is unplugged and observe proper AC safety procedures.